Visit Salomon's Snowscape 7 Siam page. 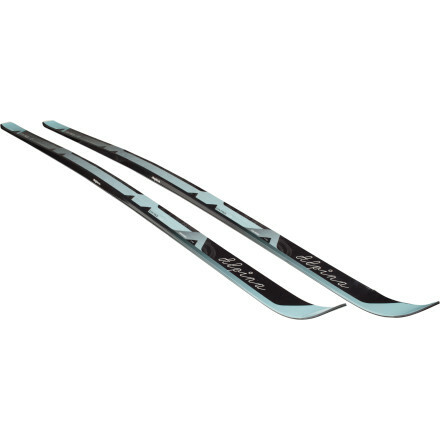 Emphasizing maneuverability and stability on- and off-track for sport and recreational skiers, the women's Salomon Snowscape 7 Siam cross-country skis have 3D construction for consistent performance. 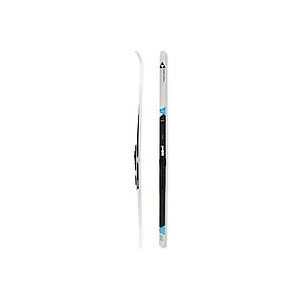 The Salomon Women's Snowscape 7 Siam PM Prolink Auto Ski is a versatile cross country ski with a consistent performance that handles both groomed and ungroomed snow with equal prowess. 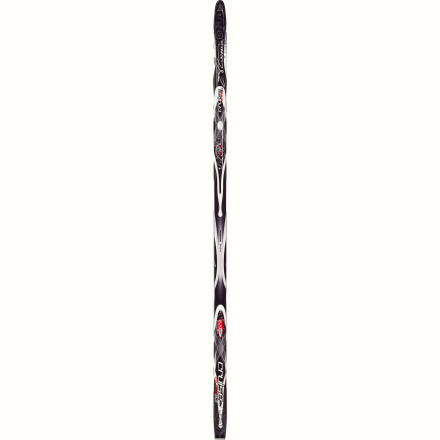 Designed for beginners and intermediate skiers, this ski comes in a shorter length for greater maneuverability around tight trees in the backcountry, as well as better stability on the track. It's shaped with a light camber and light sidecut to give a better grip and increase the kick-zone contact for an easier performance. The Densolite 1000 core combines lightweight foam with unidirectional fiberglass to keep the ski light and torsionally stiff for a lively ride. 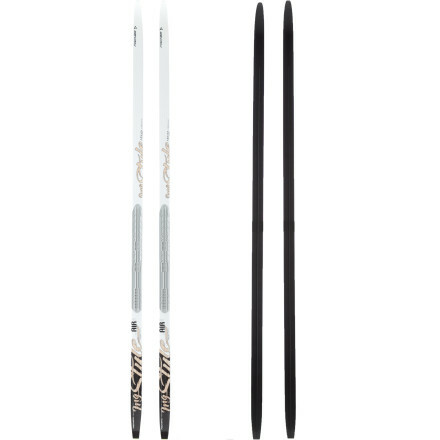 Salomon's specialized D2FC (Digital Dynamic Flex Control) technology conforms the ski's flex according to your specific weight, making it feel like the ski was made especially for you. 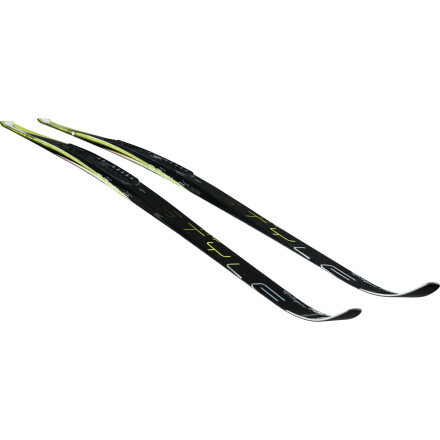 This Snowscape 7 Nordic Ski comes pre-mounted with Salomon's Prolink Auto Binding. The Prolink Auto is Salomon's classic touring binding, and complements the Snowscape 7's versatile performance. It has two rails that maintain a low and direct connection for a great snow feel. It has a secure closure and an easy step-in and step-out for beginners. The Prolink Auto is compatible with Prolink and NNN cross country boots. 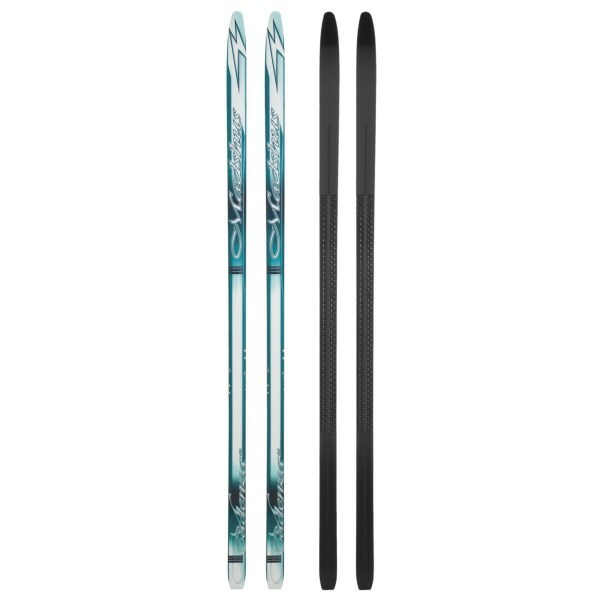 The Salomon Snowscape 7 Siam skis are wide enough to float out of tracks but fit perfectly in them, too.